Winter fun at VMF, weather permitting. Sled downhill. Ample parking area with footpath to top of the hill. No supervision is provided. Parents must assume responsibility for the safety and behavior of their children. Concerts in the Park, every Monday in July and August, VMF, 7 p.m. Free, rain/shine unless pounding deluge or dangerous lightning. Under cover. Bring a chair or blanket and consider layered clothing for unpredictable evening temperatures. Nonprofit concession stand on site. Enjoy the concert and browse through information about local events and businesses. Held by the town of Thurman using Warren County occupancy taxes. 518-623-9649. Scroll down for complete list of performances. MUSHROOMS: One of our walks will be a “mushroom foray” led by Andy LeBlanc and Ed Braley. 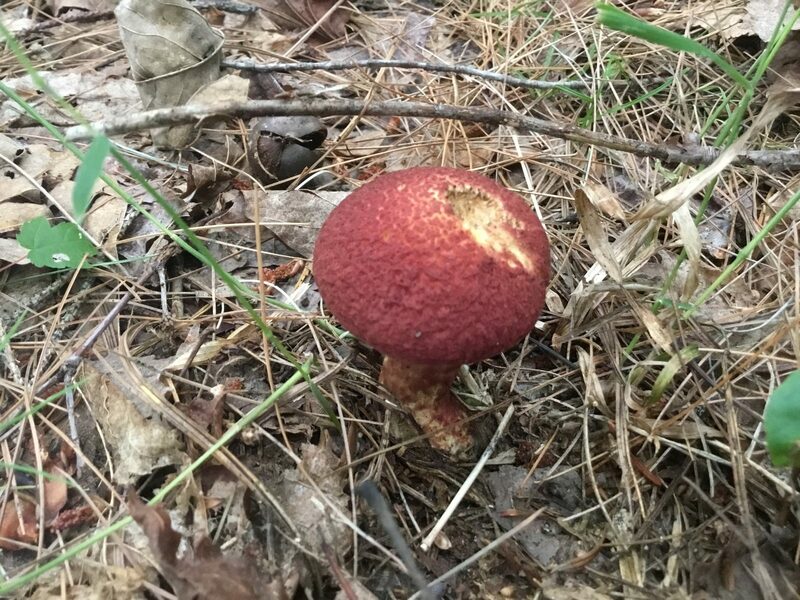 In addition to finding and identifying wild mushrooms, we will have an ongoing discussion about what mushrooms are edible vs medicinal species, life cycles, habitats and new research and uses for one of the oldest organisms on the planet. Back at the barn there will be a variety of mushroom “salts” (porcini mushroom salt as well as a black trumpet salt and a shiitake and five pepper hot salt) and a log inoculation demonstration with hands-on participation encouraged. Those who get involved with inoculating shiitake and oyster mushroom spawn (spore in sawdust) into freshly cut hardwood logs, may take a log home ($5). Come join the fun then go home and start growing your own mushrooms. PLANTS: Amy Cason, herbalist and instructor at the Adirondack Folk School, returns to take you on our plant walk, identifying and discussing plants in the forest. Topics incorporated from her various classes include preparing and cooking with herbs, 1st aid uses: for pain, as antibiotic and seasonal remedies, making your own plant-based cleaners and how the uses have evolved through history. Back at the barn there will be prepared herbs and herbal remedies. TREES: Owner, Gary Martin will chat about the trees: how to identify them (both in summer and winter) and noting particular characteristics of the various kinds. He will discuss how sustainability is practiced both for the trees and the land. 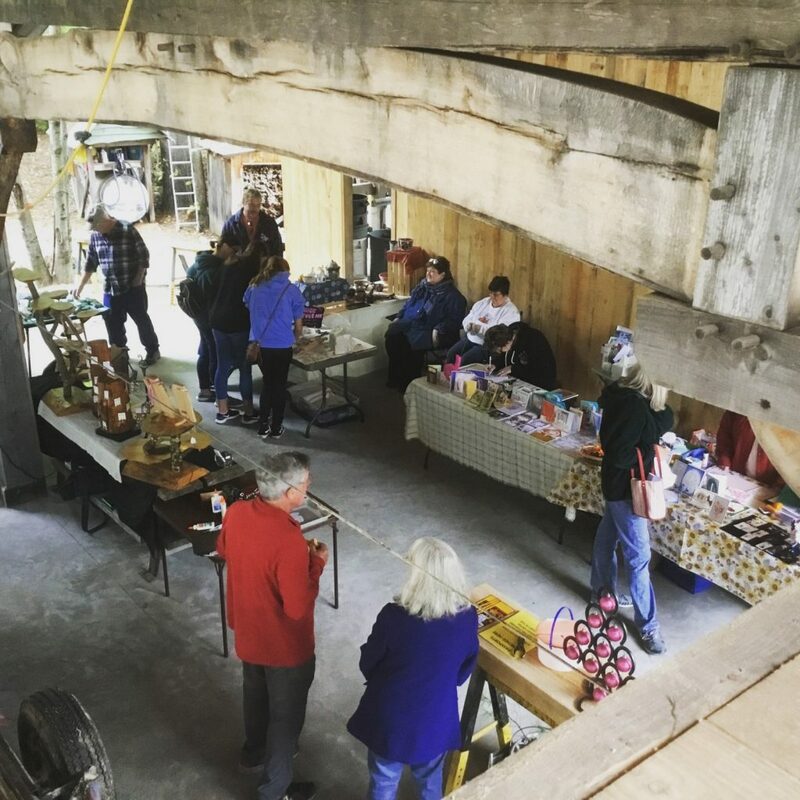 Back at the barn there will be a sawmill demonstration, a display of old tools, vintage equipment and a chance to plant your own tree to take home. Be sure to sign your name on the wall as you tour the barn. DOWSING: Local professional dowser, Bruce Irwin will teach interested “Woods Walkers” to receive basic dowsing response using a forked stick (and other dowsing tools) over sub-surface water veins located on the property; just bring your “sensitive self”. Handmade cold process soaps: Laurie West of “Empty Nest Suddrome” has quite a following for her soaps that appear more like fancy decorated cakes than soap. Made of the purest ingredients and carefully tested, her line includes body butter, body butter sugar scrubs, lotion bars, lip balm, bath balms, shampoo bars, Anti-Aging Face Elixir and Beard/Hair Oil with Hyaluronic Acid. Forest Floor Art by Toni Varnum: Three dimensional artifacts created from nature’s treasures found on the “forest floor”. These one of a kind pieces in their unique frames would add a touch of Adirondack elegance to any home. Author, Perky Granger, founder of the St. George Island Writers’ Retreats for Women, will be here with her YA novels Adirondack Gold, its sequel, A Summer of Strangers and the non-fiction Shared Stories from Daughters of Alzheimer’s, and can chat about a new work in progress. Kids may join a reading circle to hear and tell stories. Wood worker, John Los is back. Well known for his Windsor Chairs and famous for his spoon carving demonstrations that are both informative and entertaining John also has a fine line of rolling pins, bowls, stools and breadboards. You will learn some history of the tools he works with and why particular woods are his choice. Before you leave be sure to try out his chairs, not only are they elegant in appearance they offer a comfort that is hard to beat. Avis Russell of the Thurman Quilters Club has won many awards for her fine craftsmanship. She will have a selection of quilted runners, placemats, pot holders, crib quilts, totes and cross body bags, that include a choice of colors and sizes. She rarely sits without her hands being busy so check and see what she is working on, getting ready for the holiday season at the Quilt Show this fall. Cooperative Extension’s master gardener, Elli Muller: Have a gardening question? Ask Elli, she will have tips for starting seeds and transplanting, companion planting along with composting and what native plants are good to use instead of invasives. Do your kids have a science project that Elli can help with??? Questions about raised beds and container gardening, recovery of ice damaged trees, insects and disease…??? Ask her! Pyrography: James Martin will be working on his latest wood burning project with a variety of his finished work to view. Check out his attention to detail and design both here and in instagram, “pi_rho_designs”. Hand fashioned greeting cards by Gail Seaman of “Clendon Brook Creations” with demos and hands-on activities (embossing folders, embossing with powder and heat, hot foil embossing, flower making and shaping die cutting and ink stamping). These are not simple greeting cards but 3 demential works of art that are keepsakes, purchased sometimes to be framed rather than mailed. Pottery: Artist, Diane Cubit of the Creekside Potter (https://dcubit.wixsite.com/abenakiartist) “showcases her Abenaki heritage in the way of surface decoration. Her original designs and illustrations are heavily influenced by the flora and fauna unique to the Adirondack mountains and it’s waterways.” For the Woods Walk and Artisan Market Diane will be featuring designs of pinecones, acorns, ferns and mushrooms. Live edge lumber and artifacts: signs and shelves crafted into one of a kind tier shelves, along with a large variety of live edge lumber for your own designs. Paper Beads and Paper bead Jewelry: A selection of jewelry all crafted from paper including Adirondack maps, junk mail, wall paper and beer and wine labels. Make your own beads and then a bracelet. And for a special gift bring a wedding invitation for a Keepsake order (buy one get one for ½ price). Come stay in Thurman-perhaps at The Glen Lodge B&B or, if you camp, inquire at scenic Daggett Lake Campsite or Glen-Hudson Campsite on the River. Event information is subject to change. Please check back for updates.